This striking photograph shows the graves in the slave cemetery at Montpelier. 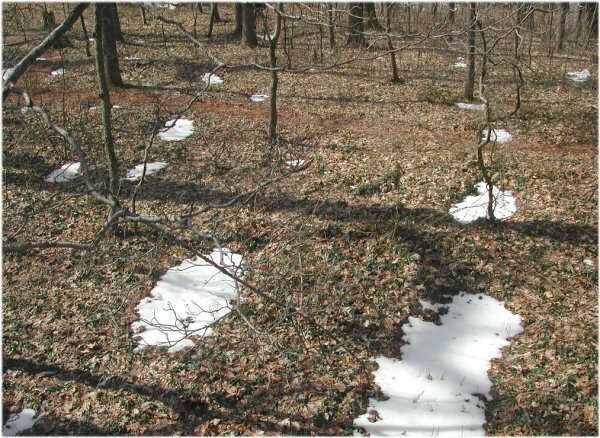 It can sometimes be difficult to see where the graves are, but in this photo by Matt Reeves, taken March 4, 2003 when all the snow had melted except in the indentations of the graves, you can easily see where they are. Photograph by Dr. Matthew Reeves, Director of Archaeology, courtesy of Montpelier.